Train in New York City at Broadway Dance Center! Join dancers from over 46 countries worldwide here in the heart of Manhattan, New York City at the legendary Broadway Dance Center. This full-time course offers dancers training and mentoring from our world-class faculty of over 100 teachers, schedule advising from our student advisor and dedicated full-time staff, performance opportunities, and the camaraderie of the community of more than 200 fellow students from around the world. Students may concentrate in Ballet, Jazz/Contemporary, Musical Theatre (including Acting, Voice, Tap, and Theatre Dance), Hip-Hop, or Tap. There is a compulsory ballet element for all students. With counseling from our Student Advisor, and within our concentration structure, students select their own teachers, intrinsically giving them both the consistency and flexibility to benefit from our enormous class schedule. 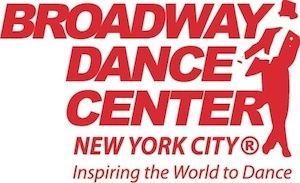 Application process detailed at http://broadwaydancecenter.com/isvp/index.shtml#apply;, and may be submitted through post or online only. Start dates six times annually, and students enroll for an initial term of three months, six months, or one year. Please email all enquiries to isvp@bwydance.com.